Norway offers some of the most incredible nature you'll ever see. 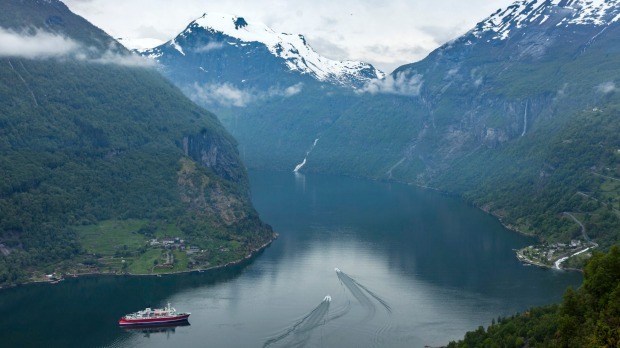 Venture into the magical and mysterious lands along the coast of the Norwegian Sea for close encounters with glaciers and gorgeous fjordscapes. Perfect for explorers long on ambition but short on time, this 11-day expedition brings you to important sites of Norway's ancient history, UNESCO World Heritage Sites, and some of the most incredible nature you'll ever see. 10 nights aboard the G Expedition, meeting point to ship transfer, zodiac and land excursions with our expert expedition team, lectures and educational programs, local village visit (Lofoten Islands), Vega Island visit, Trondheim excursion, Geirangerfjord visit, Flåm Railway excursion, Finnmark exploration, waterproof boots supplied for USA sizes 4 - 16, expedition parka. Aboard the G Expedition in quad-, triple-, twin-share cabins, or suites (all with en suite bathrooms and porthole or window, 10 nights). Sale price: $4699 per person (save $500pp on 20 May, 2019 departure, when booked before November 30, 2019).